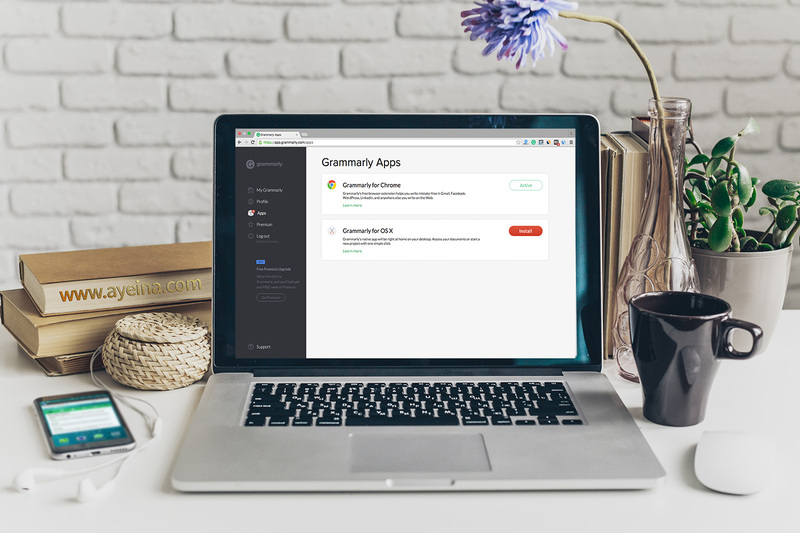 As a freelance writer, I’ve been using the free version of Grammarly for long. Recently, we shifted to the premium version of it because well… Grammar matters. Although hiring a professional editor is probably the best option but it’s way more expensive and time-consuming. Although the free version does a lot of things already, the premium does go a handful further. It sends me a report every week of how am I doing as a writer. It indirectly helped me land some of the major publications like Cosmopolitan etc. As I type, it keeps acting like my grammar police. Even on facebook. Even in emails. Everywhere. It’s my Writing bodyguard. It comes with a chrome extension and hence follows me everywhere I go. That’s something you can’t really hire an editor for. You’ll be broke by the time you write one article while you check your Facebook and surf through the Internet. As a blogger/writer, it’s a MUST and also for anyone using Facebook/Emails etc. – Professionally or non-professionally. It corrects and explains those pesky grammar, spelling, and punctuation mistakes that tend to find their way into written communication. In simple words, it’s a note taking app. 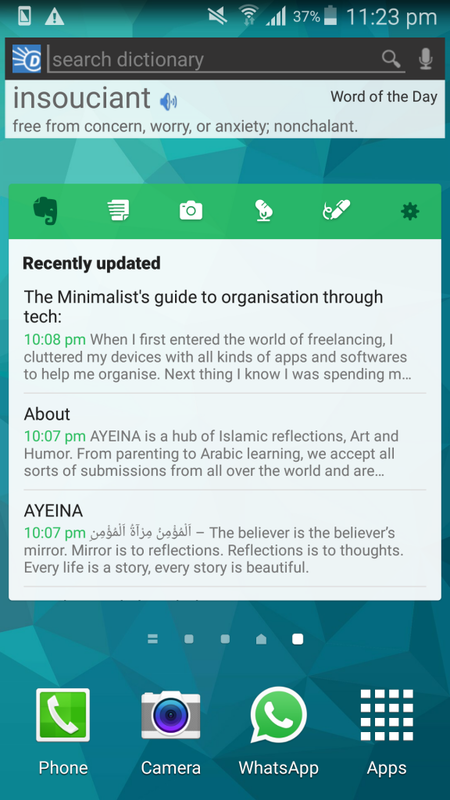 But probably the only app that has a beautiful widget, runs on laptop/PC as well, syncs with your email and records your voice notes/ handwritten notes. The best thing about it is that it syncs on all of your devices (not only phones and tablets but your laptop and PC as well). Which means that if an idea strikes me at bedtime, I can easily write it in my mobile and access it the other day on my laptop (without having to copy paste the idea on email and send it to myself for easy access through the laptop/PC) and yes, Grammarly works on Evernote too. Even though Evernote gives you reminders too but the thing that sets Any do apart is it’s visibility in the notification bar. When you want to be reminded of something, you can’t get away with just an alarm or so. After a few minutes of your alarm going off, probably you’re thinking of something else to do. Your to-do list on any do will forever be in front of you when you check your Facebook/Instagram/twitter/Whatsapp/Email notifications. It will keep reminding you that you have more important work to do. It even reminds you every day that you have to plan your day to make yourself the most productive. Though, it’s kind of annoying sometimes. But probably we need ‘annoying’ to get working. And yes the founder of Any do is a Muslim and we like to support good and halal Muslim businesses. Probably there are so many dictionaries that are really good but its widget sets it apart (Yes! I’m really biased towards the apps that have free widgets). You don’t have to open the app to dictionarise the word (Grammarly doesn’t like such words but I’m just going to ignore). It introduces you to a new word every day so it builds your vocabulary over time. But yeah! unless you don’t use those words, you’ll forget them as quickly as you learned them. These are the apps that I use day in and day out. Other apps come and go but I always end up installing these on every single device that I get. Which ones are your go-to organization apps? This post appeared in Five Favorite Finds @Muslimah Bloggers. Thank you for this post! Grammerly sounds perfect for me as I am not a native English speaker. I will definitly give it a try. I don’t use any apps to organize blogging. I have also only the minimum on my mobile phone. I am quite conservative in this point. Great Post, Thank You. Will definitely be looking into a couple. I do have the evernote app, but haven’t really been using it as much, may I should now as it seems to be a good one to note my ideas/posts for blogs. Although paper and pencil is the best choice there is but ideas tend to come at random times. Hence the need for Evernote haha. Haha I had them too. Then wallowed in some serious decluttering and ended up with only a few. Evernote is literally a daily thing for me. I keep all the links there – it spares my time in opening all social media links/descriptions or website etc. to copy paste. I’ve got the first 2- grammarly and evernote too. Although, there were sometimes ago I used Evernote often, however, I’ve found my Samsung notes app much more handy now for my writing. Grammarly is such a lovely word bodyguard as you metioned. 😄 I shall try any do and see if it’ll serve my purpose. Thank you for sharing. I want to be a guest writer for your blog, how do I go about it? ☺ I await your response, Sis. I’ve stopped using any.do now as I shifted to barakah planner (pen and paper) to take myself away from the devices as the workload goes up at AYEINA (though any.do was amazing nonetheless). Need to update this post :p But I still use evernote EVERY.SINGLE.DAY. The best part is synchronization with all the devices that I have (android or iOS, laptop or computer) – it saves me from emailing myself back and forth lol.